Still Unbelievable: Why after listening to Christian arguments we remain skeptics is a response to Justin Brierley’s excellent first book, *Unbelievable: Why after 10 years of talking to atheists, I'm still a Christian*. We found it to be a book worth reading, and worthy of a response. All of the contributors to this book are longtime fans of the *Unbelievable* podcast. At least one of us leaves a comment and engages in discussion on the show page every week. Because Justin is such a good moderator, we often found ourselves unsure of what he really thought on some of the topics discussed on the show. We were eager to see Justin lay out his views and get a better sense of what was behind his enduring faith. After reading the book, we wanted more. We wanted more insight into his personal conversion experience. We wanted more commentary on important doctrines that are routinely featured on the show. We wanted more response to good rebuttals we have heard from nonbelievers who have been guests on the show. The podcast has always been a conversation between people of different views. And we viewed his book in the same way. But a book can only ever be one side of the conversation. *Still Unbelievable: why after listening to Christian arguments we remain skeptics* is our side of the conversation. It is also our way of asking Justin for more. We are in communication with Justin, as we have been throughout the project. He was good enough to send us advance copies of his book. And we have kept him in the loop on ours. We expect that there will be an upcoming show appearance where some of us will get to sit down with Justin and talk about the book. The details still have to be hammered out. 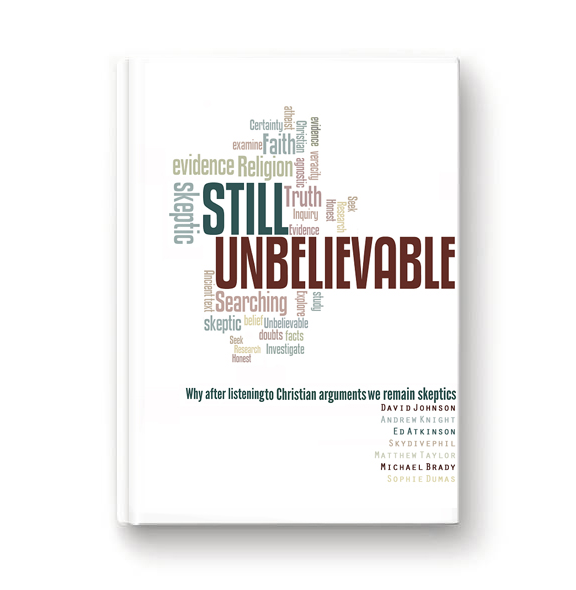 So before you download a copy of *Still Unbelievable: why after listening to Christian arguments we remain skeptics*, please leave your email address so that we can add you to our mailing list and let you know what to expect and when so that you will have plenty of time to save the date. Just so you know, Reason Press has more projects in the works. David is over half way done with * Red Letters: A Closer Look at the Worst Moral and Practical Teachings in History*. It is a book that directly takes on the notion that Jesus was far from a good teacher. Finally, we want to hear from you. Send questions or comments to the feedback page. We reserve the right to use any feedback in upcoming books, blogposts, and any other materials we produce. If you want feedback from a particular author, please indicate that in your query. And we will do our best to make that happen. Skeptics and Seekers is a unique blog experience. We call it the Reason Press Mirror Blog or just Mirror Blog for short. Each Skeptics and Seekers topic is covered by two writers, one skeptic and one seeker. These blogs serve two purposes. The first is to provide a skeptics view and a seekers view on the exact same topic. The second goal is to illuminate the difference in thinking between skeptics and seekers, so that we can better understand eachother. The first installment of what will be at least a weekly blog is available here. AaAA: No, it’s not an echo. It’s Ask An Atheist Anything. When we say anything, we mean anything, even the questions you think are bad ones. Match or mismatch socks, Soccer or NFL, Trump or Clinton, death penalty or life, from the most trivial to the most,we have answers from the atheist world view. We can’t help ourselves. We want better conversations about things that matter. And sometimes people don’t know what is important to ask. So they don’t say anything. There are farm more lurkers than commenters we suspect. But lurking doesn’t make for a very good conversation. One of the benefits of a one to one conversation is that you don’t have to be embarrassed about saying the wrong thing. No one else is listening. When you AaAA, you are having a one to one with one of Reason Press’s writers. If we use your question later in some other work (which we retain the right to do), you will be kept anonymous. So, ask away. And, it you don't mind your question being public, you have tht control. You get to choose wheter your question is one that the community can see or whether it remains private. We see this as the most fair way to talk. Better conversations also mean treating your views with respect. Let’s face it: Things can get pretty rough on the discussion board. But in some ways, that is conversation as performance. We all behave differently when the mic is on and the spotlight is on us. But we can assure you that your serious questions will be taken seriously and handled with care and respect. No one should be made to feel embarrassed because they asked a question. That will never happen when you AAAA. And yes, your irreverent questiojns are just as welcom. Fair warning thogh, we have Snark Guns too. AAAA is a point of contact that gives you access to real atheists living real lives. While none of our writers are obligated to participate, I suspect that many will. And Andrew and David will always be glad to interact with you. It is not enough to banish the straw men. We want to replace it with the real men and women who live the kinds of lives you may not have thought possible: fulfilled and meaningful lives without regard to a deity. Let's make a connection. Let's talk. 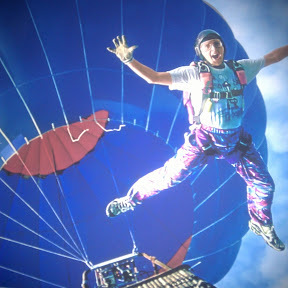 Over 19,000 people are currently following Skydivephil's YouTube channel. Do you have questions about the origin of the universe, how scientists have reached our current best understanding of the cosmos, wonder about Dark Matter or Dark Energy, subscribe here and start learning. Ed is the very capable author of the chapter Resurrection in Still Unbelievable, the coordinator of the London Meet Up Group formed abound Unbelievable, and a one of the hosts of the podcast Doubts Aloud. 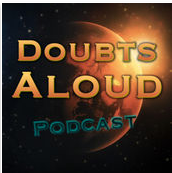 Please consider subscribing to Doubts Aloud. If you like Still Unbelievable, yhou will definately like Doubts Aloud. Matthew is the capable author of chapter one in Still Unbelievable titled God Does Not Make Sense of Human Existence, write a deconversion blog that can be read here, and is the host of the podcast Ask An Atheist Anything available here on Reason Press. Doubts Aloud. If you like Still Unbelievable, yhou will definately like Doubts Aloud.